Epiphone presents the Ltd. Ed. Slash Les Paul Standard Plustop PRO, the fourth signature Les Paul by Guns N’ Roses legend and Rock and Roll Hall of Fame member Slash! Featuring a classic Les Paul with a AAA Flame Maple Veneer top, Anaconda Burst finish, Ebony fingerboard, Seymour Duncan "Slash" Humbuckers, Sprague "Orange Drop" capacitors, and a Certificate of Authenticity. In 2017, Slash was named Gibson Brands’ first Global Brand Ambassador. 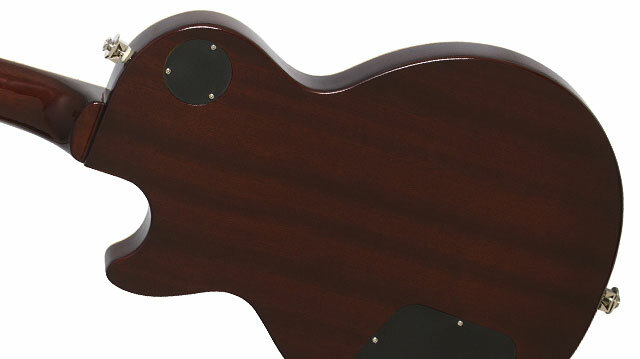 And to celebrate, Slash worked with Epiphone’s famed luthiers in Nashville to create the Ltd. Ed. Slash Les Paul Standard Plustop PRO, a no compromise Les Paul featuring a Mahogany body with traditional 9-hole weight relief, a Carved Hard Maple Cap, a AAA Flame Maple Veneer, and finished in a beautiful Anaconda Burst. Both the body top and fingerboard have single-ply cream finish and no pickguard for a clean, sleek look. The deep set hand-glued Mahogany neck has Slash’s favorite rounded profile with an Ebony fretboard, a 12” radius, a standard 24.75” scale, and 22 medium jumbo frets. 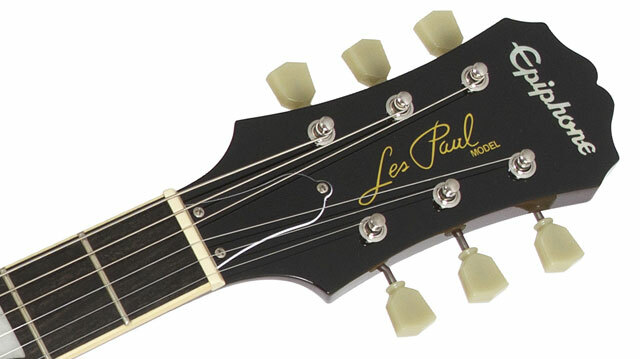 The traditional Epiphone Clipped-Ear headstock has a standard 2-way adjustable truss rod. And Slash’s “Skull and Top Hat” logo is printed in gold on the back of the headstock. For his new Epiphone signature Les Paul Outfit, Slash chose his favorite Seymour Duncan "Slash" Humbucker open-coil black pickups. As Slash explained on the Seymour Duncan website: “From working in a music store and having them replace pickups all the time, I discovered that Seymour Duncan made the best pickups. So when I got the Les Paul with the Seymour Duncans in it, I knew that those pickups were going to be killer. 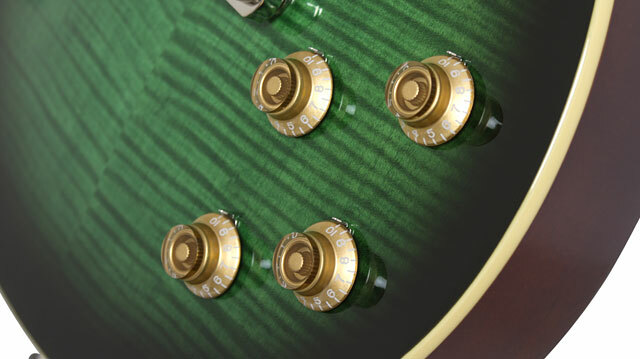 It was just this particular model – the Alnico II Pro…they’ve been the main pickups in my Les Pauls ever since.” Standard controls for each pickup’s Volume and Tone feature traditional Gold Top Hat knobs. Tone controls for both pickups also feature Sprague "Orange Drop" capacitors just like those found in rare vintage Les Pauls. The Ltd. Ed. Slash Les Paul Standard Plustop PRO comes with Epiphone’s rock solid hardware including a classic Epiphone LockTone™ Tune-o-matic bridge and Stopbar tailpiece, Epiphone StrapLocks, Deluxe machine heads with 18:1 ratio Ivory "tulip" buttons, and a rim-mounted Non-Rotating Heavy-Duty output jack with Cream jack plate. Each guitar also comes with a Certificate of Authenticity. Like all Epiphones the Ltd. Ed. Slash Les Paul Standard Plustop PRO comes with Epiphone’s Limited Lifetime Warranty and world famous Gibson 24/7/365 Customer Service. Visit your favorite Authorized Epiphone Dealer today and get your Ltd. Ed. 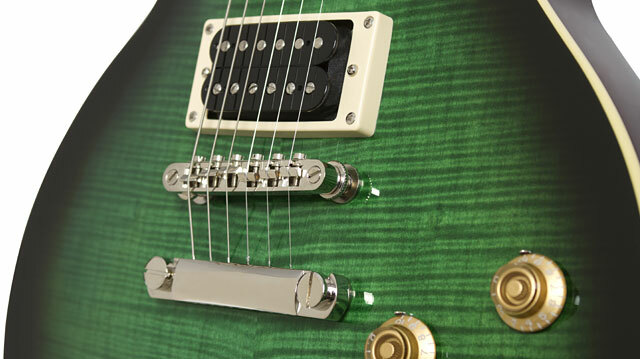 Slash Les Paul Standard Plustop PRO while supplies last!